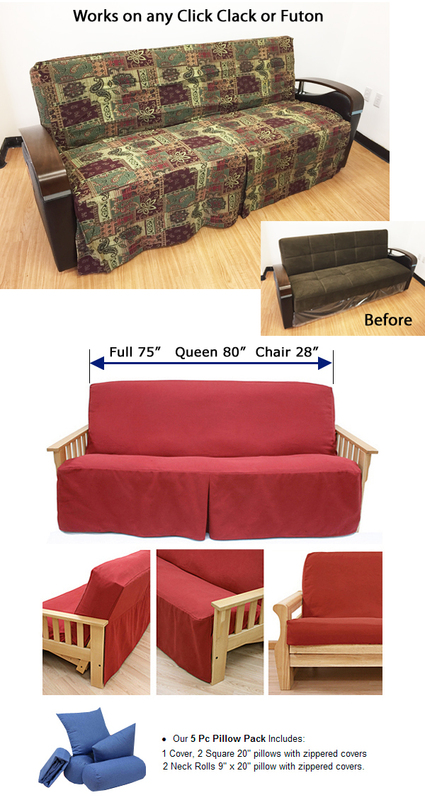 Charlotte covers for click clack sofa beds - Buy from Manufacturer and Save. 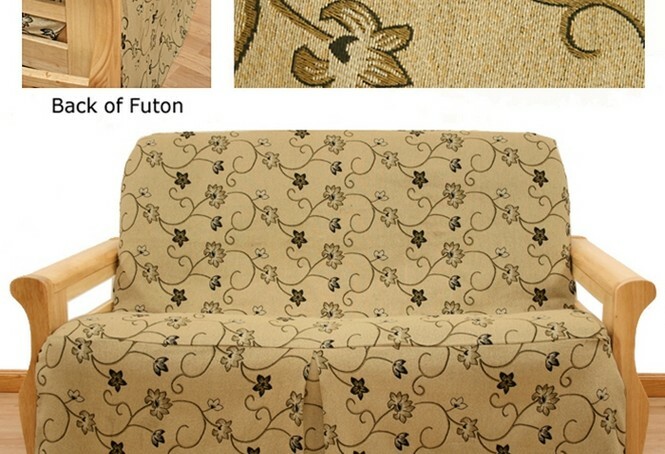 Charlotte skirted futon cover works for both traditional futon or click clack sofa bed and is beautiful floral tapestry. Offers gorgeous beige background with embroidered accents in black, copper and pinch of natural. This cover creates fantastic depth and atmosphere. 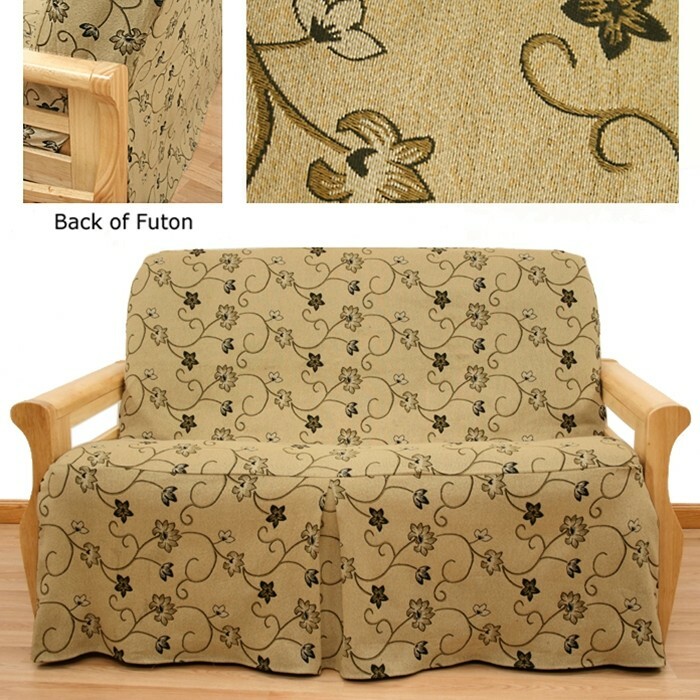 Made of durable, upholstery grade tapestry. Rich looking cover. Machine washable. 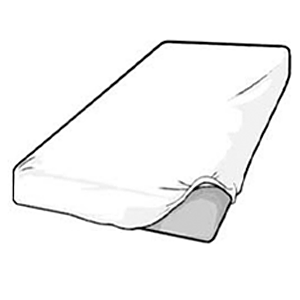 55% Cotton, 45% Poly.